The Club runs several training sessions across all disciplines. See the Club Calendar for the most up to date times. Coached session joining the Bury Masters swim club £5 per session. N.B. Registration is required. Please contact masters@westsuffolkswimming.co.uk for more information before attending any sessions. 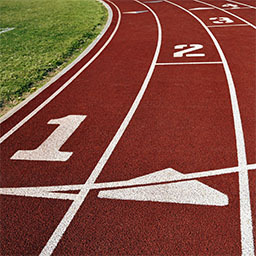 Coached session across four lanes to cater for all standards. Session starts promptly so please arrive for 20:15. £4.00 per session. See Youth Activities page for more information. The Club has an agreement with Larkwood Fishery (click here for map) to use one of their lakes for open water swimming on Saturday Morning from 10:30am until 12 noon. We do not have an agreement to use the lake at any other time. There is a charge of £4 per session which goes directly to the landowner. You must be a current club member of the West Suffolk Wheelers or a British Triathlon Federation affiliated club to attend; proof of membership will be asked for. 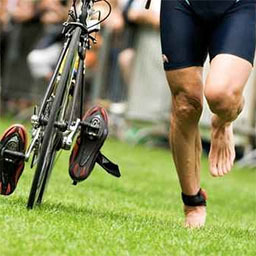 The club would encourage all members to take out suitable insurance such as joining the Triathlon England. 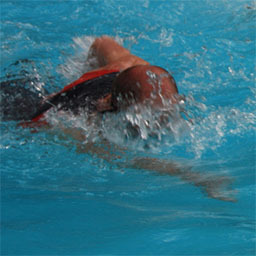 Open water swimming carries certain risks. All participating open water swimmers must sign a declaration agreeing to obey all the clauses laid down in these rules and regulations. These rules are established with safety as the most important concern but we are also dedicated to helping you have a really enjoyable experience at Larkwood Trout Fishery. To download the waiver/declaration pdf click here. Please wear a brightly coloured swim hat so that you can be seen easily. You must check in and out of the water at the designated point. If you get into trouble roll onto your back, wave and shout for attention. Please be respectful of the fishermen nearby and keep the noise down. When you are changed and ready to enter the water please sign in and pay. There will be a marked area to enter and exit safely please don’t climb out anywhere else. Please swim in a clockwise direction. Spend 5 mins to acclimatise to the water before starting your swim. Remember to spot your route as you go, this is a skill and will take some practise. Look out for other swimmers and help each other. 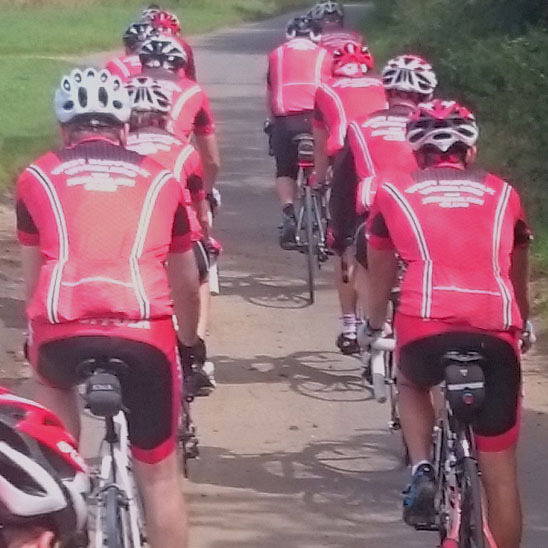 Fast 2-3 hour non-stop “out together, back together” training ride, ideal for race preparation and not for beginners! It takes place every week, all year round. Doors open at 18:30 for a prompt start. Club turbos and rollers are available and everyone is welcome. Instruction and encouragement will be provided just bring your bike, drink and towel. Doors open at 19:00. Club turbos and rollers are available and everyone is welcome. Instruction and encouragement will be provided just bring your bike, drink and towel. Join the Wednesday evening training ride for a more structured ride. Typically the ride will use the Beyton circuit (early/late season) and/or the Woolpit circuit in mid-summer Click here for circuit maps. Sessions will vary but will include chain gang practice. Depending on the number of riders attending, groups will split according to ability. ALL ABILITIES ARE WELCOME – all sessions will be designed to accommodate runners of different paces or level of experience and are hosted by qualified run leaders Thomas Betts and Hannah McInroy. Please arrive at the West Suffolk Wheelers club house at 18:30 to begin the session no later than 18:40 and wear bright or high-visibility run clothes if you have them available. Everyone welcome. Bring a towel and plenty of water along with your bike and running kit – arrive 19:00 for a prompt start. Typically the session is 30-45 minute bike on static trainers, followed by a 30-45 minute run. Free, weekly, 5Km, timed run. The same distance as a sprint triathlon run. Everyone welcome. Bring a towel and plenty of water along with your bike and running kit – arrive 19:00 for a prompt start. Typically the session is 30 minute bike on static trainers, followed by a 30 minute run. Click here for main entry. Some Club coached training sessions are paid for using the Club Training Shop. Click the button to go to the shop.